house. Owners of hardwood floors are also aware of the care required to keep them in good shape, such as sanding, waxing, sweeping, and keeping them dry. However, as an organic material, hardwood floors are prone to some problems other types of flooring are not. If hardwood floors show some signs of damage, refinishing them can often fix the problem. Eventually, though, the floors will either have reached the end of their life. In these cases, hardwood floors will need to be replaced entirely. Here are three ways to tell if your own hardwood floors are ready for replacement. Hardwood floors in humid climates or that have been subjected to flooding can be heavily damaged. Sometimes the water damage can be fixed by refinishing or replacing just a few boards. However, sometimes the entire floor will have to be replaced. When moisture enters wood, it makes it expand. This can cause the boards to warp and crack. It can also create an environment perfect for toxic mold to develop. If your hardwood floors have been so damaged by water that they feel spongy to the touch or they are growing mold, it’s time to replace them. Hardwood floors can get scratched. Deep gouges can occur when moving furniture or simply by kids playing rough on them. Most of the time, these things can be sanded out of the floor. However, each time you sand the floor, you take a little layer off. Eventually, the floor will be too thin to sand again or walk on safely and you’ll have to replace the floors. 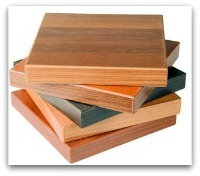 Deep gouges may also require replacement of individual boards, but typically don’t require replacing the whole floor unless the gouging is extensive and on many boards. Termites love hardwood floors. They’re a source of housing and food. Unfortunately, the more wood they eat, the less structural integrity your floors will maintain. If you have termites, you may not know it until it is too late for your floors. According to Orkin, you can tell if termites have been in your home by looking for the wings they shed after they mate. You might find these piled up on windowsills or even on the floor boards themselves. If you catch the termite invasion quickly enough, you might still have time to get an exterminator out to eliminate them. You’ve got to be vigilant, though. Termites are nearly everywhere, and the most common type (subterranean) exist in every state except Alaska, where it’s too cold for them. If your floors have obvious holes in them, little piles of sawdust along the spaces between the boards, or crumble in places when you touch or walk on them, then the termites have done their work. Sanding won’t fix it, because the damage is inside the wood. There’s nothing to be done but replace the floors at this point.